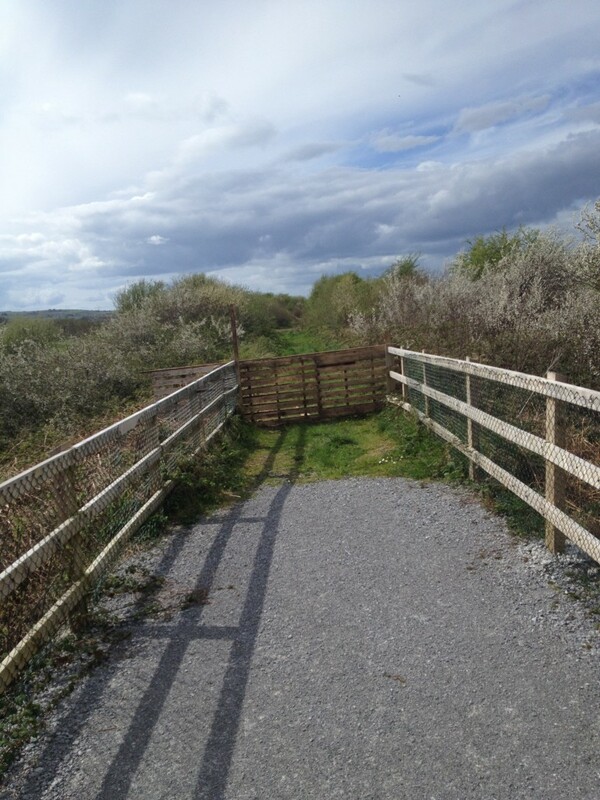 We received this mail today from Liam O’Mahony, Liam and the Great Southern Trail group have done trojan work in their efforts to reopen the disused Tralee – Limerick and Tralee – Fenit Railways as a greenway. While the GST have had great success on the Limerick side of the border things could not be more different in Kerry with the entire route save a mile or so in Tralee still lying idle. On Saturday 7th November to celebrate 25 years of achievement the GST will be holding an ‘Open House’ and a DVD launch followed by a walk from Newcastle West to Ardagh which will be led by the Mayor of Limerick Cllr. Liam Galvin, the same route that the very first organized walk along the old railway took place in May 1990. Full detail of these events can be found on the GST website. The Taoiseach’s commitment to a national cycle network, made on October 18th 2015 when opening the Mullingar-Athlone Greenway along an old railway, (which can be listened to here) rings hollow in North Kerry where the conversion of the old Rathkeale to Tralee/Fenit railway into a Greenway was first proposed in 1988. That vision had to wait for most of twenty years to be even partially realised due to some trenchant and very influential opposition. Eventually the West Limerick section was opened and only then through the persistent endeavours of the voluntary Great Southern Trail (GST) organisation which I have the honour to chair. The entire Limerick & Kerry GST was included in the Irish Government’s National Cycle Network plan of 2010. It is also included in the Atlantic Coastal Route of the EuroVelo cycle network. Mr. Kenny’s Government did fund the 3km extension from Abbeyfeale to the Kerry Border in 2012 where it has languished to this day as its continuation appears to be at the whim of a separate local authority. It is patently ridiculous that an international project should be stalled at an administrative boundary several kilometres from the nearest town. Using a county boundary in this manner makes North Kerry seem more impenetrable than North Korea. The County Limerick GST is now 40km in length but the addition of the further 50km of State railway lands lying idle in North Kerry would hugely enhance the GST Greenway experience. Incidentally, Waterford City & County Council are at present working rapidly in converting 50km of their old Waterford to Dungarvan railway into a Greenway without any difficulty because they were resolute in negotiations with objectors. Kerry County Council say they are inundated with requests for Greenways by local communities but that most of the proposals involve routes that are too short. They conveniently omit to mention that thousands of people are in favour of continuing the GST into North Kerry, which would create the longest Greenway in the country. Why are the Government and the local authority ignoring North Kerry? Ownership of the line is not an issue as CIÉ own a fibre optic cable which runs along its length. Why has Transport & Tourism Minister Pascal Donohoe eschewed a number of opportunities to visit any part of the GST during at least three recent visits to the area? There will be no better time to put these questions to politicians than in the coming months. Government is supposed to involve leadership and vision not capitulation to vested interests.